On 20of March 2019 was born purebred colt Djangir ATT - breeder Jana Gibsonova. Owner change: mare 2999 Ainabat (Jana Gibsonova) - Monika Dvorakova. Owner change: mare Dalchyn Dodak D-Keik (Zdenka Skopalova) - Stefan Sahli, Switzerland. On 26of August 2018 was born partbred colt Alpie - breeder Kamila Skarabelova. Owner change: stallion Pairbig (Edita Slukova) - Wioletta Korik- Krzyzanowska, Poland. Owner change: partbred filly Aisha FGG (Vlasta Galova) - Gabriela Hrdlickova. On 6th June 2018 was born purebred colt Kichi D-Keik - breeder Zdenka Skopalova. On 27of May 2018 was born purebred colt Chirzy - breeder Edita Slukova. Owner change: purebred stallion Pahim (Josef Sluka) - Edita Sluková. On 16of May 2018 was born purebred filly Pata-Djan ATT - breeder Petra Maresova. New horses photos: Dumanly D-Keik, Pahim, Pairbig, Rajka, Sergesdan. Imported purebred stallion Bazyrgan (Alania Stud-Slovakia) - Kamila Skarabelova. Owner change: partbred mare Maydan-CZ (Petra Boudnikova) - Gabriela Hrdlickova. New photos in sections: Horses & People, Miscellaneous, Foals, Herd, Spring-Summer, Autumn-Winter. New horses photos: Parham FGG, Polotlize, Alemgoshar, Fornaks, Damian LBVK, Aliandra, Baddeleyits, Pairbig, Darab ATT, Dastan ATT, Sipahi ATT, Khadir. Owner change: partbred stallion Myshmysh (Sabina Nemcova) - Lothar Lengfeld, Germany. Owner change: partbred mare Mahafrin (Monika Dvorakova) - Maria Ivanova, Slovakia. Owner change: purebred mare Obe (Petra Maresova) - Gyuri Kruppa, Hungary. Owner change: purebred mare Omelia (Hava Dubaeva) - Petra Maresova. On the 30of July 2017 was born purebred colt Darab ATT (Darbek- Jangi) - breeder Petra Maresova. On the17of April 2017 was born purebred filly Durkhana-CZ (Khan Dengri x Durana) - breeder Petra Boudnikova. On the 28 March 2017 was born purebred filly Aisha FGG (Dilemek/ Polotlize - Alemgoshar) - breeder V.and P.Gal. On the 26 March2017 was born purebred filly Melika (Gelshah - Magtanch) - breeder Monika Dvorakova. On the 25 March 2017 was born purebred filly Janan ATT (Ghadir x Jana Jan) - breeder Petra Maresova. On 5th February 2017 was born purebred colt Damian (Damask x Aliandra) - breeder Lenka Benediktova. Owner change: Derkar (Zdenka Skopalova) - Chenjie HU,China. Owner change: Aibekpen (Edita Slukova) - Annina Speerli, Schweiz. Owner change: Shabrang ATT (Petra Maresova) - Avaz Ismoilov, Uzbekistan. Owner change:Mignard (Veronika Vonkova) - Barbora Diartova, Austria. On the 13of July 2016 was born purebred filly Penserges - breeder Josef Sluka. Owner change: Geramig D-Keik (Zdenka Skopalova) - Elena Novotna. On the 18of June 2016 was born purebred colt Dumanly D-Keik (Derkar - Sirena) breeder Viktor Barsa. On the 16of May 2016 was born purebred colt Pairregin (Pair - Regina) breeder Edita Slukova. On the 15of May 2016 was born purebred filly Gurjak D-Keik (Gobi Gush - Derya) breeder Zdenka Skopalova. On the 18of April 2016 was born purebred filly Dogrucyllyk D-Keik (Gobi Gush - Dorkeik) breeder Zdenka Skopalova. Owners change: stallion Gobi Gush (Zdenka Skopalova) - Vladislav Korda, JK. Stary Plzenec. Owners change: stallion Dilemek (Vlasta Galova) - Viktor Barsa. Owners change: colt San Bir (Adela Cihelkova a Svatopluk Cech) -Lilo Jäger a Axel Bissert, Germany. Owners change: Gemekala ATT (Petra Maresova) - Michael Zobel, Austria. Owner change: Ahsi Shael (Atara Teke) - Eva Kutilova. Imported purebred colt Khadir (Alania stud, Slovakia) owner Zdenka Skopalova. Owners change: Gigiz (Atara Teke) - Adela Cihelkova and Svatopluk Cech. Owners change: Colt Parchan FGG (Farm GG) - Jana Tepla. New photos colt Pahim - horse For Sale. On the 1th June 2015 was born partbred filly Mahafrin (Gelshah - Magtanch) breeder Monika Dvorakova. On the 30of April 2015 was born purebred colt Aibekpen (Pair - Bibigiz) breeder Edita Slukova. On the 22of April 2015 was born purebred colt Pairbig (Pair - Bibigiz) breeder Edita Slukova. 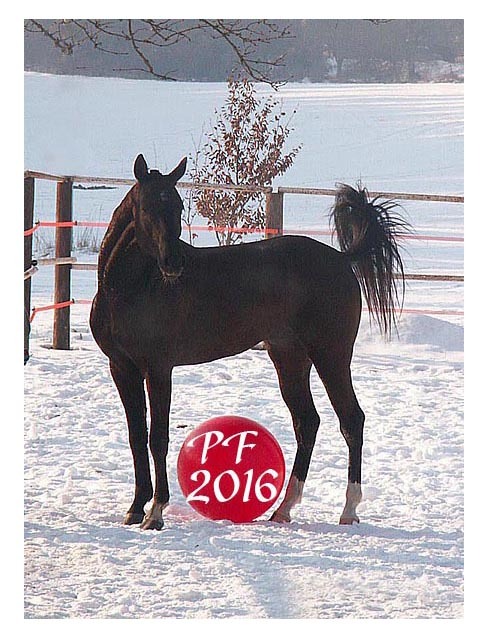 On the 19of April 2015 was born purebred colt Parham GG (Polotlize - Fornaks) breeder V.+P. Gal. On the 16of April 2015 was born purebred colt Geramig D-Keik (Gobi Gush - Mukam) breeder Zdenka Skopalova. On the 16of April 2015 was born purebred filly Alcippe ATT (Samurai - Ainabad) breeder Petra Maresova. On the 2th March 2015 was born purebred filly Yaleh ATT (Samurai - Jangi) breeder Petra Maresova. On the 2th March 2015 was born purebred filly Gisi ATT (Samurai - Grust) breeder Petra Maresova. Owners change: Colt Gowy Dost (Viktor Barsa) - Alessandro Gottardi Zamperla, Italy. Import: mares Gultekin and Morandi (Alania stud, Slovensko) - Petra Boudnikova. 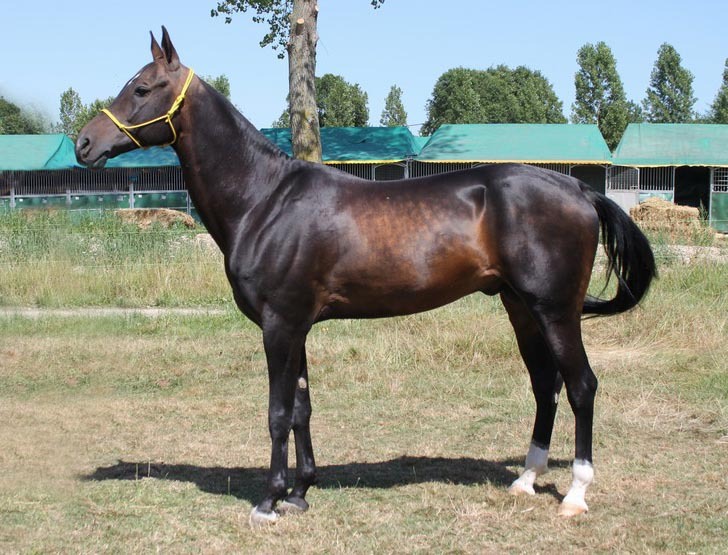 Import: mare Palau (Alania stud, Slovensko) - Sabina Nemcova. Owners change : Gulesen (Petra Maresova) - Gabriela Kopecka. On the 3th June 2014 was born purebred filly Dalchyn Dodak D-Keik (Gobi Gush - Dorkeik) breeder Zdenka Skopalova. On the 1th June 2014 was born partbred filly Akhtar FGG ( - Alemgoshar) breeder Vlasta and Petr Gal. On the 30of May 2014 was born purebred filly Jenahara ATT (Samurai-Jana Jan) breeder Petra Maresova. On the 28of May 2014 was born purebred filly Delbar ATT (Samurai - Davenda) breeder Petra Maresova. On the 17of May 2014 was born partbred filly Galathea (Ghadir x Casablanca) breeder Monika Dvorakova. On the 3th May 2014 was born purebred filly Rajka (Patysh x Regina) breeder Edita Slukova. On the 28of April 2014 was born partbred colt Gandhi (Gumon x Alakma) breeder Karin Kormanova. On the 3th April 2014 was born partbred filly Mawi Gozli Merwerit (Patysh x Mathan) breeder Aneta Zikova. On the 28of April 2014 was born partbred colt Poseidon (Patysh x Everda) breeder Jan Pan. Owners change : Paolo (Edita Slukova) - Ms.Tsvetkova, Belgium. Owners change :Manlayly (Zdenka Skopalova) - Alessandro Gottardi Zamperla, Italy. Owners change :Samsyk (Farm GG) - Jitka Lizonova. Owners change : Jih ATT (Petra Maresova) - Markus Hubmann, Austria. Owners change : Alaleh ATT (Petra Maresova) - Inga Schmetzer, Germany. Owners change : Epika (Aneta Fantova) - Alena Krajska. Owners change : Karlavach Bai (Michel Foster) - Katerina Kratochvilova. Owners change : Garry Gyz (Blanka Maresova) - Rebeka Batova. Owners change :Asnak, Patysh (Edita Slukova) - Richard Lajos Bagyo, Maroko. Offered for sale partbred colt Mahyar. On the 18of August 2013 was born partbred colt Gotkhay (Khan Tengri - Gordana) breeder Petra Boudnikova. New horses photos: Asnak, Khan Tengri, Derya, Derkar, Paolo. Owners change : Khan Tengri (Anna Grygarova) - Petra Boudnikova. Was imported to the Czech Republic next Akhal Teke horse - purebred mare Pomona. New owner is Ms.Katerina Kralova. On the 26of June 2013 was born purebred colt Palatin (Patysh - Alsanta) breeder Edita Slukova. On the 24of June 2013 was born partbred colt Shayan (El Gozali - Diana) breeder Hossein Mesbahi. Owners change : Mignard (Farm GG) - Veronika Vonkova. New horses photos: Alaleh, Derya, Gobi Gush, Kathan, Sadalbari, Saladdin. On the 16of June 2013 was born purebred colt Gowy Dost (Gobi Gush - Sirena) breeder Viktor Barsa. On the 13of March 2013 was born purebred colt Shergir ATT (Samurai - Jana Jan) breeder Petra Maresova. 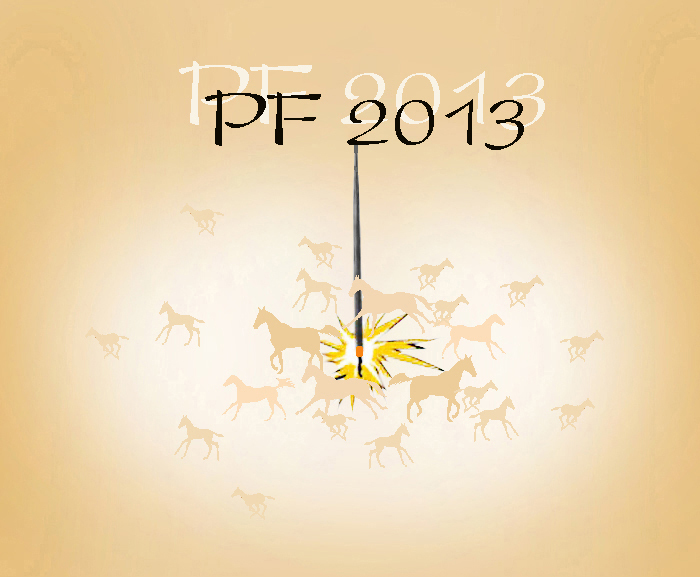 On the 13of June 2013 was born purebred colt Pahim (Schamborant - Penelope) breeder Edita Slukova. Owners change : Djik-Djiki (Petra Maresova) - Ulrike Strecha, Austria. Offered for sale: Damkianna, Jih, Sadalbari, Saladdin. On the 21of April 2013 was born partbred colt Pygamber (Paolo - Mathan) breeder Aneta Ziková. On the 18of April 2013 was born purebred colt Shabrank (Samurai-Ainabat) breeder Petra Maresova. On the 16of April 2013 was born purebred filly Damkianna (Samurai-Davenda) breeder Petra Maresova. New horses photo: Asnak, Meshhur, Dayaw Durmush. New photos in section Horses & People, Foals. Owners change : Khan Tengri (Katerina Siftova) - Anna Grygarova. New horses photos: Saladdin, Jangi, Gemekala, Gowy Gowun, Erebuni. New photos in sections Autumn - Winter, Horses and People. On the 8th March 2013 was born purebred filly Gowy Gowun (Gobi Gush - Mukam) breeder Zdenka Skopalova. On the 10of March 2013 was born purebred filly Gemekala ATT (Gumon - Grust) breeder Petra Maresova. Owners change : partbred gelding Mahirli (MUDr.Pelechova) - Eva Kutilova. Owners change : partbred mare Mathan (Edita Slukova) - Aneta Zikova. Offered for sale purebred filly Asnak. New photos in section Autumn - Winter. Owners change : partbred mare Everda (Edita Slukova) - Mr. Jan Pan. Owners change : purebred colt Dilewar (Zdenka Skopalova) - Mr. Pavel Rada. New photos in section Foals, Spring - Summer, Miscellaneous, Horses and People, Autumn-winter. New photos in section Foals, Spring - Summer and Miscellaneous. On the 10of May 2012 was born partbred mare Aliah (Samsyk - Alemgoshar) breeder Vlasta and Petr Gal. Owners change : purebred mare Penelope (Michaela Prausova) - Edita Slukova. On the 14of April 2012 was born partbred colt Kathan (Kayan - Mathan) breeder, Edita Slukova. New horses photos Abra, Alaleh, Djik-Djiki, Eshretli, Gobi Gush, Meksika, Pair. Owners change : purebred gelding Omid (Petra Maresova) - Zdenek Ryska. On the 11of February 2011 was born purebred colt Midas Afi ATT (Mingam - Grust) breeder, Petra Maresova. Owners change : purebred mare Fornaks (Petra Maresova) - Vlasta and Petr Gal. On the 18th of September 2011 was imported next Akhal Teke horse - purebred mare 2450 Sayatkhanum 19. New owner is Ms.Edita Slukova. Owners change : purebred mare Darakhshan (Petra Maresova) - Michaela Hohlstein, Germany. Owners change : purebred stallion Gyl (Petra Maresova) - Oumar Sow, Senegal. New photos in section Horses and People, Miscellaneous, On the horseback. New horses photos: Darakhshan, Abra, Pair, Gobi Gush. New owner of the partbred colt Meshhur (farm GG) is Ms. Michel Foster. New owner of the purebred stallion Dahylly (breeder Z.Skopalova) is Ms. Clara de Vos van Stenwijk, Netherlands. On the 12th of May 2011 was imported next Akhal Teke horse - purebred stallion Gobi Gush (Clara de Vos van Steenwijk) is Ms.Zdenka Skopalova. On the 31 of March 2011 was born purebred colt Saladdin (Samurai - Fornaks) breeder, Petra Maresova. On the 18 of March 2011 was born partbred colt Myshmysh (Mignard - Alemgoshar) breeder, Vlasta and Petr Gal. On the 6th of February 2011 was born purebred mare Aglaia (Gumon - Ainabat) breeder, Petra Maresova. On the 24 of February 2011 was born purebred colt Sadalbari (Samurai - Grust) breeder, Petra Maresova. On the 2th March of 2011 was born purebred colt Dok Ada (Damask - Dorkei) breeder, Zdenka Skopalova. On the 7th of February 2011 was born purebred mare Jih (Gumon - Jana Jan) breeder, Petra Maresova. New owner of the partbred filly Eshret (breeder E. Slukova) is Ms. Eva Kutilova. New owner of the purebred Stambul (Dalida Akhalteke Czech) is Ms. Katerina Kralova. Actualized photos of the stallion 1185 Djasman. In the section Foals you can find coverings for 2011. The 12th year of International exhibition "Horse in Action" took part on the 3th -5th September 2010 on Pardubice racecourse. Add purebread stallion Karim to section "Czech AT horses". This stallion is for sale now. New horses photos: Dahylly, Darakhshan, Dayaw Durmush, Derya, Djeren-Djan, Dogulmak, Ghadir, Gyl, Gelshah, Mukam, Meshhur a Gaypat. New photos in section Foals, Horses & People, On the horseback, Spring - Summer. On May 9th was gelded colt Syrgyn in the ownership of Karin Kormanova. Another colt of Mrs. Kormanova, partbred Mahriban, is offered for sale. 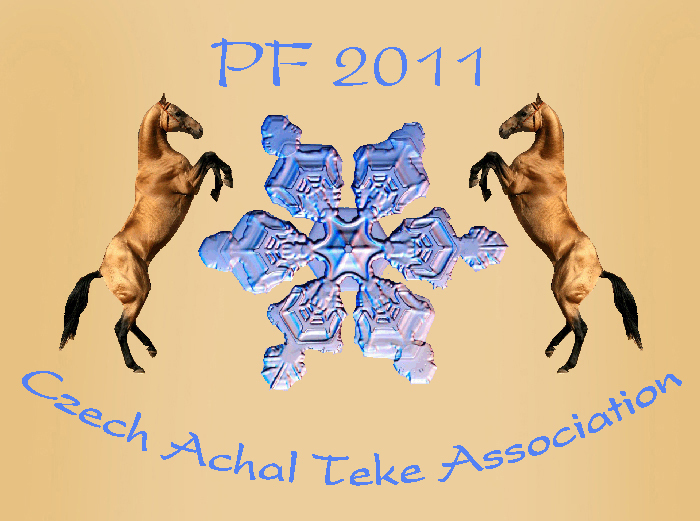 The year 2009 was the sixth year of existence of Czech Akhal Teke Association. On general meeting of association in March, firstly in history of CSCHAT, was excluded one of the members, Mr. Hofman. The reason was the steady disturbing and damaging of association´s activities, same as menacing of other members and people. Not so long after excluding from CSCHAT, Mr. Hofman was arrested and now he is in a execution of a punishment for crimes against property. Most of his horses changed the owner before arresting and now they are at the farm of Mr. Khabliev in Slovakia. Three horses fell into bancruptcy proceedings, but also these find new owners succesfully and their health and condition were stabilised. At the beginning of May partbred gelding Eman succeeded in endurance competition CEIJYR* for 80 km in Babolna, Hungary, where he finished 4th with average speed of 18,3 km/hod. First Saturday in June partbred mare Allaster with her owner and rider Karin Kormanova finished 2nd in national endurance competition for 60 km. 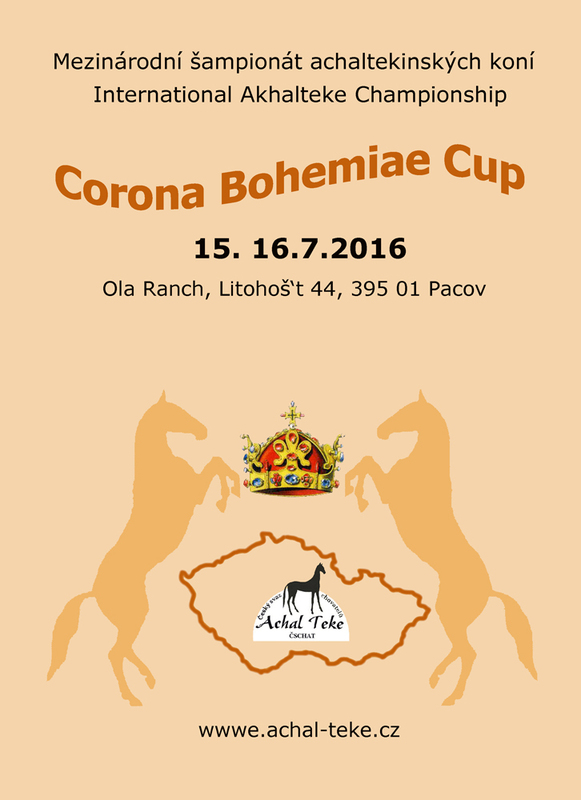 Weekend later, June 13th, took place race for purebred Akhal Teke horses „Prize of Boinou“ for the second time, at the racetrack in Pardubice. The company Kraupner s.r.o. gave the generous prize money for the race, 50.000 CZK. Nevertheless only four horses participated. Mingam (owner P. Maresova) repeated his victory from the last year, the second finished Damask (owner Z. Skopalova), third Polotlize (owner Farma GG), fourth Dubler (owner P. Maresova). Unfortunately other planned races didn´t take place due to small interest of owners. 7.-9.8.2009 was held championship „Teke Mania“ in Luxemburg. Czech horses were represented by horses of Mrs. Novotna – Albion placed 2nd in the category of 2 years old, Alnissa placed 2nd in the category of 3-4 years old mares and 2nd placed also Altair in the category of 5-12 years old stallions. The second Czech breeder who came to Luxemburg, was Mr. Cerveny (Dalida company). His Abnar placed 6th in the category of yearlings, Anthares placed 4th in the category of 2 years old and Almazar 5th in the same category, Sheitan Shael placed 2nd in the category of 3-4 years old stallions and Prett 5th. The president of CSCHAT, Ms. Maresova, was the member of judge committee together with T.N.Ryabova and Dr. Christian Schacht. Since August 12. till 18th, CSCHAT hosted the chief inspector of breeding, Mrs. Ryabova. Twelve breeders were visitek and over 120 purebred and partbred Tekes were evaluated. The first September weekend was held the exhibition „Horses in action“ in Parudibce for the eleventh time. CSCHAT has own stand there, horses were presented by Damask (owner Z. Skopalova) and Mingam (owner P. Mareosva) and guests from Slovak studfarm Alania, stallions Asket and Gagur. Week later took place international endurance competitions in Warka (Poland), where in CEI* competition for 80 km won Allastar with Karin Kormanova and it was not their last success. 10.-11.10.2009 were held endurance competitions in Most (Czech Republic) – in CEI* competition for 89 km finished 1st Allastar and Karin Kormanova, bonus for Karin was the victory of her second mare Alakma with rider M. Vesela in competition for 51 km. From the breeding view, the year 2009 was the year of colts – in total were born 20 purebred foals (three of them were presently exported to Slovakia), 19 of them colts (!) and only one filly. Partbred foals were born 3 (two fillies, two colts). In November took place another general meeting, this time electioneering. Presidium was elected without changes (President P. Maresova, 1st Vice President Z. Skopalova, 2nd Vice President K. Kormanova). New treasurer was elected H. Zyrkova, for Supervisory Committee were elected V. Barsa, P. Gal and E. Slukova. New webmaster is Z. Skopalova. New website of the Czech AT Association is the project with the aim to provide breeders and fans of breed with actual information from all of the world and to distribute information education in relation to Teke breed – continuously will be added articles from history, breeding, sport, etc. If you have any suggestion, what you would like to see on our web, please, don´t hesitate to write us. We wish you and your horses all the best in 2010!